The "Bolti" is the new, increasingly famous Royal Balti House signature dish which is based on the traditional Balti recipe but has been enhanced with achari pickle, along with one key ingredient - Lancashire Sauce made by family firm Entwistle's of Ramsbottom. Named the Bolti in honour of the town, it is spicier, more tangy and aromatic and was created in response to demand from regular customers who had tried everything on the menu and wanted something bigger and bolder. The new recipe takes the Bolti to "a whole different level" in terms of flavour. It has nothing to do with Baltimore or Baltinglass. 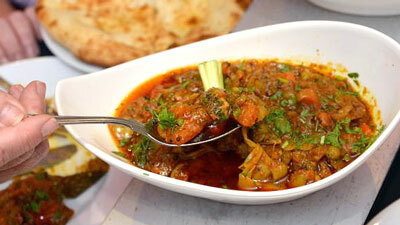 The Balti is an Indian dish representative of a style of cooking which some say is native to Baltistan. 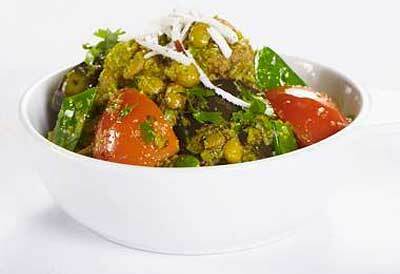 It's a kind of curry, its ingredients usually assembled and cooked quickly in a manner reminiscent of a stir-fry. The heart of this style of cooking is a cast-iron pot, originally also called the Balti. The Balti evolved into a half-hemispherical pot as likely to be made of steel as iron, and usually called the karahi or karai. 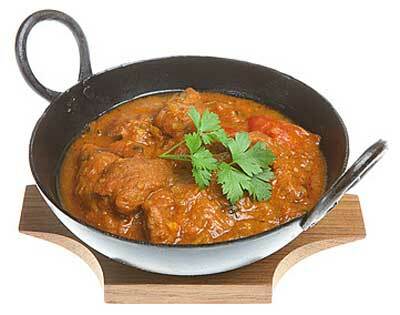 A Balti is usually both cooked in the karahi, and served at the table in it. Typically served with Balti is naan bread, a thinnish leavened bread (somewhat like pita bread) torn up and used as an eating implement, to scoop up the Balti and get at the sauce. This utensil-less approach turns Balti into one of the "sport" foods, like ribs: you get it, or it gets you, and sometimes both. Balti in Europe started attracting notice over the last few years in the UK's second biggest city, Birmingham, particularly in the city's Sparkhill and Sparkbrook areas, home of some of the oldest and best Balti houses, and now increasingly known as "the Balti Belt." Word of the wonderfulness of Balti began to spread through the rest of the UK and elsewhere with the result that Balti is rapidly turning into one of the "hot" things in the food world (to the amusement of those of us who've liked it for years). "Curry" is the only word that we can find in our Indian cuisine dictionary to have no direct translation into any of the sub-continent's fifteen or so languages. The word was coined, we are reliably informed, by the British in India centuries ago. Possible contenders for the origin of the word are, Karahi or Karai (Hindi), a wok-like frying pan used all over India to prepare masalas (spice mixtures); karhi - a soup-like dish made with spices, chickpea flour dumplings and buttermilk; Kari - a spicy Tamil sauce; Turk Uri - a seasoned sauce or stew; or Kari Phulia, neem or curry leaves. However, any Brit that has not tasted or heard of curry must have either had a very sheltered life or be a compulsive liar! 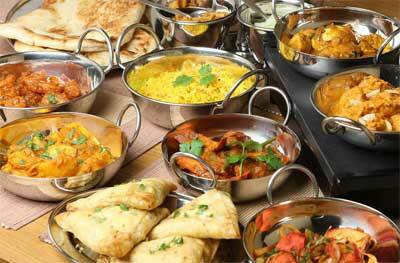 The mere word conjures up the odour and mouth watering taste of your favourite Indian dish, whatever it may be. Did you know that we have many great Vegetarian dishes, from our Veg Street Foods; Aloo Paneer, Chana, Kidney Bean, Spinach, Butter Bean, Begun, Coliflower, Kadu , Mushroom & Lentil, and much more? Unlike other restaurants who just serve vegetarian "options" as an afterthought, vegetarianism is deep rooted in Indian cuisine and culture and our vegetable dishes reflect that fact. 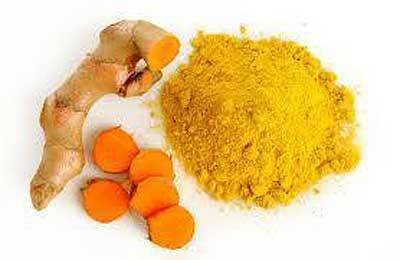 Did you know Turmeric or 'haldi', is known to have very high antiseptic properties and anti-inflammatory benefits? Turmeric root looks a lot like ginger but is deep yellow in colour. The spice has a peppery, warm and bitter flavour but is an essential ingredients in most curries. The favourite accompaniment poppadom (also known in the UK as papadum, poppadam), or papad as it is called in India, is eaten with every dal and rice meal, and sometimes with curries too. 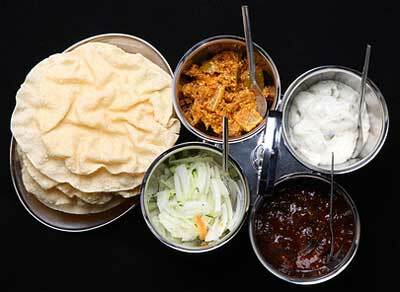 Depending on the region, the poppadom is made from different combinations of lentil and rice flour, and seasoned with black pepper, garlic, chilli, herbs or spices. Mini poppadoms are very popular in Mumbai where on the streets they're called Disco Papads! 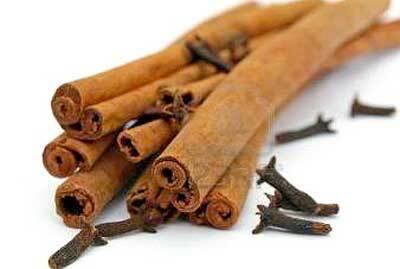 Cloves and cinnamon are great spices for use in wintery dishes, even in non-Indian cooking. They are often used together in dishes and have a strong impact on taste and aroma. Cloves are particularly strong, so only two or three whole ones should be added to give a perceptible but not overpowering flavour. One of our most popular dishes is the Chicken Tikka Shashlik... tender pieces of boneless chicken breast marinated in hung curd and tandoori masala. Why not try it? 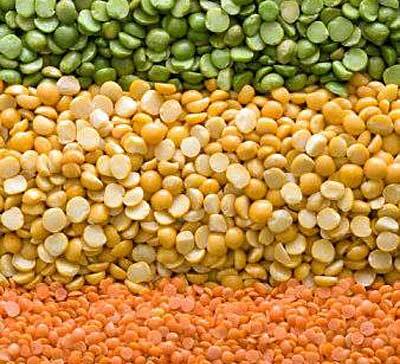 Lentils are the original super food. They've been around for thousands of years all over the world but no cuisine has done as much with them and as artfully as India. Dal is even the national dish! They are great for everything, a low cholesterol, high protein food which helps with healthy hearts and losing weight. Did you know that apart from its many uses in Indian cooking, ginger is known to help relieve the symptoms of cold and flu? 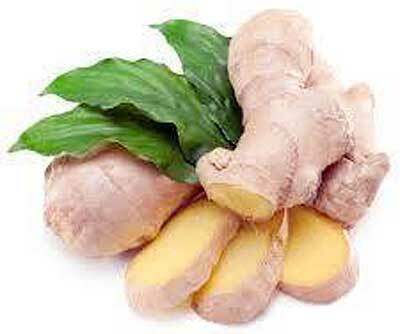 Ginger helps stimulate the production of saliva to make swallowing easier. Ginger's natural spiciness can help clear congestion and breathing, helping to clear those nasal passages. Go Ginger! Ever wondered about the spiciness of chillies? 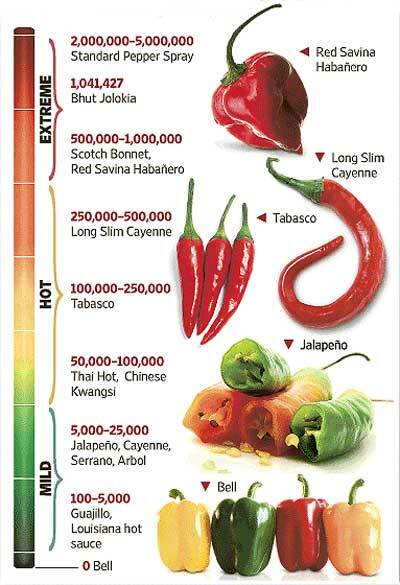 We found this interesting Pepper Heat Index chart on popular varieties of peppers and even Tabasco. It's based on the Scoville scale which measures the pungency (spicy heat) of chili peppers or other spicy foods in Scoville heat units (SHU). Time for some spicy facts. In India, Black Pepper is called kali mirchi and is predominantly grown in Kerala, where it is used lavishly in cooking and also for medicinal purposes. 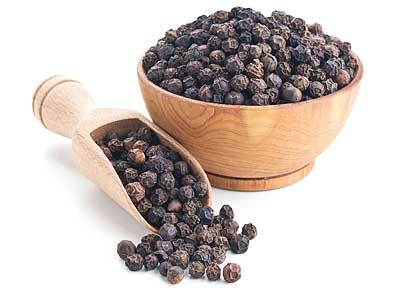 Peppercorns boiled in water along with Indian basil leaves are drunk as an infusion to cure a chest cold or asthma. If youre feeling poorly, give it a go! Samosas are not just popular in the Indian sub-continent but also Southeast Asia, Central Asia and Southwest Asia, the Arabian Peninsula, the Mediterranean, the Horn of Africa, North Africa and South Africa. 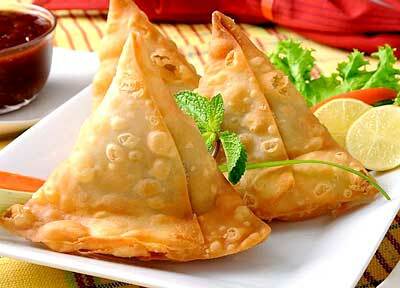 Why not try our Samosas? They make a perfect starter. Did you know that Tandoori Chicken is a popular Indian dish consisting of roasted chicken prepared with yogurt and spices? 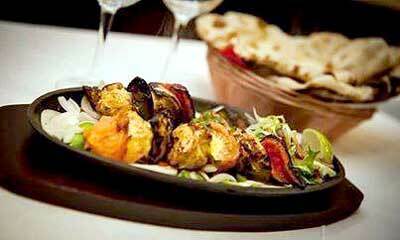 The name comes from the type of cylindrical clay oven, a tandoor, in which the dish is traditionally prepared. Try our delicious Tandoori Chicken? Basil, "The Queen of Herbs", is native of India and other tropical regions of Asia where it has been cultivated for over 500 years. Tulsi, also known as Holy Basil, is considered the most sacred plant and is worshiped to. It has been revered in India for over five thousand years, as a healing balm for body, mind and spirit, and is known to bestow an amazing number of health benefits. 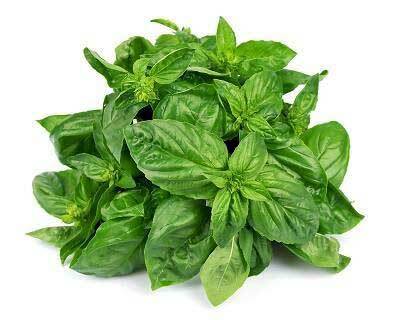 It is a highly fragrant plant whose leaves are used as a seasoning herb for many different types of foods, always as a fresh ingredient added at the last moment due to the fact that cooking Basil over a high or low heat over long periods could destroy its flavour. According to Ayurveda, Yoghurt is considered to be a cooling food which is probably the reason why its consumed in large quantities during India's long, hot summer season. 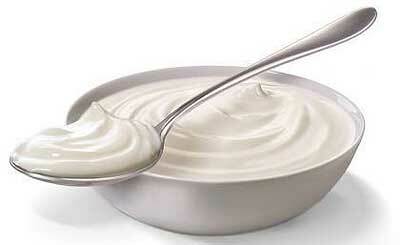 Next time you have an Indian meal add a dollop of yoghurt for its cooling effect. We are more than happy to prepare gluten-free dishes for anyone who has a gluten intolerance. Please let us know beforehand when you order. For more information about allergens please click here.